Ange Ou Demon Le Secret by Givenchy EDP Spray 1.7 oz. 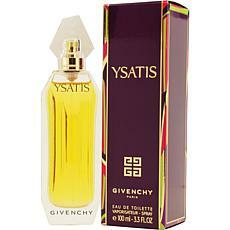 Very Irresistible by Givenchy EDT Spray 2.5 oz. Ange Ou Demon Le Secret by Givenchy EDP Spray 3.4 oz. Givenchy Dahlia Noir Leau EDT Spray for Women 4.2 oz. Hot Couture By Givenchy EDP Spray for Women 1.7 oz. Organza by Givenchy Eau de Parfum Spray - 1.7 oz. If ultra-feminine scents are your pleasure, you'll treasure the flowery enchantment of the Boss Parfum Spray. Launched by the design house of Hugo Boss in 2000, is a women's fragrance that possesses a blend of floral and fruity with lower notes of sandalwood, musk and vanilla. Flowerbomb by Viktor & Rolf Eau de Parfum Spray 1.7 oz.